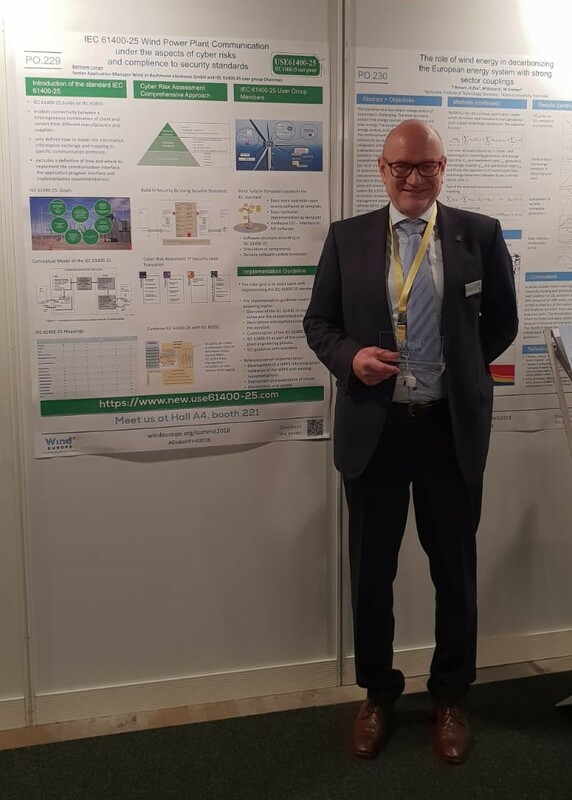 The user group USE61400-25, represented by its chairman Bertram Lange from Bachmann electronic participated at Wind Energy Hamburg 2018. This year 470 posters of the individual exhibitors selected the 6 best and awarded prizes. We are proud to announce that this year the Usergroup has taken the first place in the field of digitization / communication. In the photo Bertram receives the award for the first place in digitization / communication.